The 5kW Melody is a design classic. 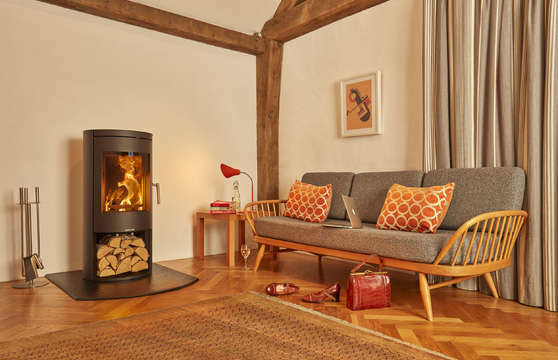 A cylindrical woodburning stove with a generous window. A great view of the flames, easy to use controls make this stove a pleasure to live with. There are various options to help you configure the right Melody such as steel door, full glass door, log store or lower door, plus each version is available as the SE model which can be used to burn wood in smoke control areas.